More than any other room in the house (with the possible exception of the living room), the bathroom is constantly besieged by all the family. The kitchen may be “the heart of the home” but its use tends to fall on the woman of the household (although some couples do indeed share chores, and some males aspire to the qualities of a celebrity chef). Breakfast is often eaten in the kitchen, and young children may linger to be close to parents. But, apart from frequent fridge raids and kettle-boiling, teenagers and even young adults by and large will not put much strain on the kitchen, seen as a place of obligations (dishwasher loading/ unloading, saucepan scouring, potato-peeling and so on). Bedrooms, of course, are personal territories and single occupancy, only shared by couples or perhaps by young children. But the bathroom! Well, everyone has to go to the loo several times a day and maybe in the night as well. Everyone has to wash, at least night and morning, with extra sessions before changing for a special occasion. Men need to shave… or trim those increasingly fashionable beards. And a simple session at a washbasin is now spurned in favour of a full-on shower. With horizons widened by visits to health clubs and spas, shower expectations now include different water effects, from a needling massage, to a rain-like deluge to a soft full flow to rinse out shampoo and conditioner. Indeed for many girls and women daily hair-washing is the norm. Then there is the pampering and skin treatment and makeup and hair styling. A bathroom also has to accommodate more intimate sessions on the loo. And in tandem with advances in bath and shower design, comes a desire to linger longer, with older family members finding the bathroom a place simply to relax and grab some privacy. Thus it becomes obvious that just one room will find it difficult to cope with the multi-faceted demands of a busy household. A “family bathroom” used to mean a room for parents and children, but now the escalation of property prices In London, and any-where with a commuter link to the capital, has resulted in “children” who are in fact adults, continuing to live at home, or returning home after a period away at university. They just cannot get onto the first rung of the property ladder. Parents therefore who might have wanted to “downsize” now find themselves restricted from moving. In any event, with so much pressure on the property market in the South East, main mortgage payers may prefer to stay put and improve the property they have. Selling may be easier now, with increased demand and inflated prices, but buying could be a nightmare, with the strain and uncertainty of restricted viewings and sealed bids, escalating prices, gazumping and the pressure of renewing finance, the upheavals of moving, and so on. It becomes more sensible, therefore, to think in terms not of improving “the bathroom” but of installing bathroom facilities spread all over the home, so that several members of the household can use them at the same time. It then becomes possible to tailor these facilities to particular needs. Mum and Dad can perhaps have an en-suite, all the more needed in an overcrowded household. This could feature a spa bath for a relaxing soak, with appropriate lighting, sound system and TV. A second room could feature a shower, washbasin and loo. Perhaps an additional loo and washbasin with shaver point could be squeezed in elsewhere. 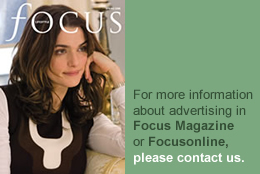 More ambitious projects may add separate facilities for the teenagers/young adults, or for a nanny or an au pair. En suite bathrooms, even if very small, preserve the privacy not just of their users, but of everyone at home. Look at the potential of the whole house for bathroom facilities before making major changes to any particular room. 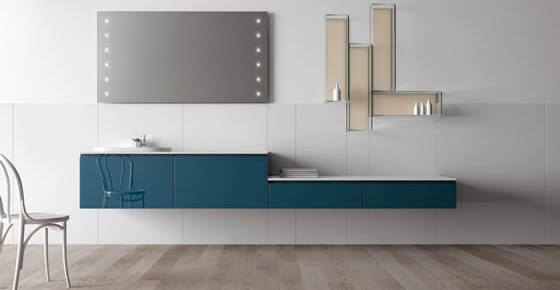 For the bathroom needs of the modern home are complex and varied, and should also be as flexible as possible, with built-in adaptability for possible changes in the long term. Collect opinions from all the teenagers/adults in the household on what they dislike about current bathroom arrangements and what would be on their bathroom wish-list. Then make a list of bathroom needs – write your requirements in firmly at the top. Round-table or sofa family planning sessions are both useful and fun. Ask your partner and older children what they have seen in other people’s bathrooms or hotels/gyms that they particularly liked. And start scouting for ideas yourself in the bathrooms you visit, noting types of taps, where mirrors are placed, the positioning of fittings, differences in water pressure, design/position of radiators, efficiency of lighting and so on. Tear pages from magazines, garner the experience of friends. Because bathrooms are the most challenging rooms in the house to design and install, more so even than kitchens, you have to start somewhere. Also bear in mind that every home in the UK is different, with layers of plumbing built up over the years. Loos and cisterns may be antiquated. Homes will have different hot water systems, waste outlets and water pressures, and alterations will be controlled by varying local authorities/ water boards. And the sheer volume of product now on the market is staggering. You will find that more or less every single fitting you may be thinking of buying has been revolutionised by modern materials and technology, and the increases in sophistication and choice of surface finishes has opened up a treasure trove of interior design delights. In the past 50 years, house sizes have shrunk considerably meaning that bathrooms have also had to adapt. If your space is restricted, look for slimline furnishings and corner fittings which maximise space. However, in some cases you may eschew practicality to focus on a bold statement. Thus around 10% of bathroom improvers now choose a free-standing roll-top bath, and accordingly many firms offer small compact designs in metal, acrylic and resins. New technology in the bathroom includes innovations to improve hygiene, increase comfort and ratchet up interior design possibilities. Helen Head, senior designer at Ripples of Reigate, ticks off the bathroom possibilities of what she calls high-tech kit. “Today’s designs include motion activated taps and lighting, wireless showers, self-cleaning WCs, baths that play music from your tablet, smartphone or laptop and even waterproof televisions so you never need to miss your favourite soap again. Shower toilets can have remote control and rimless WCs offer new flushing technologies. For that spa-like sanctuary, check out the latest shower cabins, saunas and steam rooms that come with chromotherapy, aromatherapy, hydromassage jets, audio systems, touch screen control and central shower-head for the ultimate spa haven. High-tech mirrors and mirror cabinets come with built-in demisters to prevent steaming while others have sensor activated LED lighting and are Bluetooth enabled so you can hook up your iPod and listen to your favourite tunes as you get ready in the morning. But the key to making it work for you is to choose a combination of products to suit you and your family.” Besides Reigate, you will also find branches of Ripples in Sheen Road, Richmond; and Fulham Road, Chelsea. www.ripples.ltd.uk. 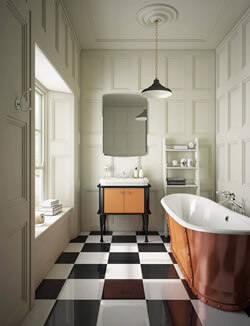 Tiles are an integral part of any bathroom, and can be not only practical but a main design feature. Large format tiles, measuring 450x 900mm and 600x1200mm, are sleek and modern and open up your space. 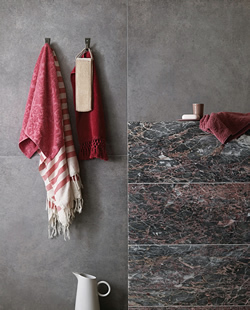 Combine these perhaps with a textured tile or glass mosaic on a feature wall for example behind your basin/vanity top. Also consider the colour of the grouting, the space between the tiles as well as the tile strips around the perimeter – these can make a big difference to the finished look. Natural stone has featured in the finest historic homes for centuries, primarily due to its inherent natural beauty and long term durability and it remains as popular today. It offers a wealth of choice in terms of shade, finish and format, and while cool in summer, when combined with under floor heating, stone feels great under-foot the whole year. The production of stone is now more environmentally friendly than ever and when you choose stone, its long-term durability means that replacement costs are reduced. Solid stone basins and baths are becoming increasingly popular for creating real impact in bathrooms and bespoke designs for bath surrounds and vanity tops can be brought to life using fabricated stone slabs. 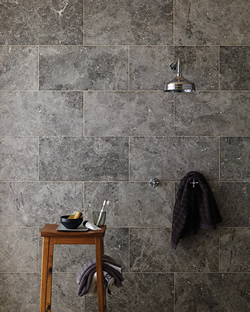 The natural diversity of stone means there is an extensive choice to suit all tastes and budgets. Mandarin Stone are one of the largest importers and stockists of natural stone tiles, flooring and stone bathware in the UK with local showrooms in Chuch Street, Weybridge and West Street, Marlow. www.mandarinstone.com. With so many family pressures on bathroom use, with every property imposing its own restrictions, with so many new possibilities for bathroom fittings, and increasing options for materials and style, it is more essential than ever before to use a specialist for bathroom design, supply and installation. A retailer in your area is ideal, with a thorough knowledge of local tradesmen, water supply, regulations and so on. Personal recommendations remain the best way to find one. Visit several showrooms if possible, and look for extensive displays, with working taps/showers, and even working loos, and plenty of examples of materials, colours and finishes (“Always see a sample” is a fundamental principle of interior design). Ask for references and if possible to see recent work, Be frank from the beginning about the budget you have available. If a company is contemptuous of your financial restrictions, well, simply go elsewhere. For a true professional, working within a budget is an essential part of the design challenge. Ask how payments will be structured, and how your deposit is protected. At an early stage, investigate ways of raising finance, obviously comparing rates of interest, time to repay and so on. Unlike kitchen companies, bathroom specialists on the whole do not install. However they will “recommend installers.” And these may include several trades: a plumber, of course, but also a wet room specialist for waterproof “tanking”, an electrician, a floor layer and so on. If possible do your own homework on these crucial facilitators. Ensure that they belong to relevant trade associations. Ask what experience they have, and check who will actually do the work. C.P. Hart (with nine London showrooms and one in Guildford) advises all clients to carefully “shop around” when looking for an installer – “pay as much care and attention to finding an installation expert as you do to sourcing products,” they say. (www.cphart.co.uk). Where possible, secure a home visit at an early stage, as layout and plumbing will play a large part in how your bathroom is designed. Show your designer your whole home, as he/she may well be able to suggest additional ways to make your possibly multi-generational home a happy hi-tech household.